Premium upgrade tuned for the total sonic accuracy found in a studio monitor speaker. Meticulously conceived, designed and engineered for advanced high performance sound. Dynamic Balance technology provides rich, clean, full-range sound by eliminating distortion and unwanted resonant frequencies. 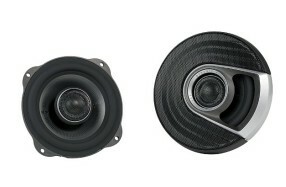 Low protrusion pivoting 1 Terylene tweeter ensures clear, detailed highs. Every element of the MM1 Series is meticulously engineered for high-performance soundDynamic Balance technology, a pivoting 1 Terylene tweeter, UV tolerant titanium plated composite cones, lightweight neodymium motor structureplus, glass fiber formers, oversized voice coils and high-temp Conex spiders for increased power handling. For other Polk Audio models, please enquire.